Scalloped Potatoes with Fontina Cheese and Sage is a satisfying upgrade to a timeless classic. 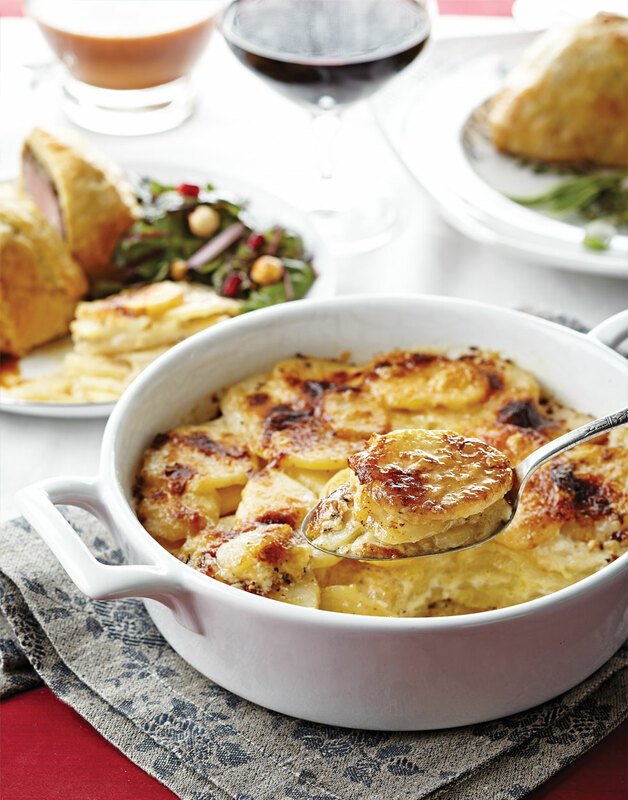 With all the cheesy goodness you remember and love, this side is the perfect complement to any holiday or winter dinner. For the best flavor, look for fontina from the Aosta valley in Italy. Those from other countries (recognizable by the red wax rind) are much milder. Preheat oven to 400°. Coat a 2-quart baking dish with butter. Heat cream, milk, sage, and garlic in a saucepan to a boil over high. Reduce heat to medium-low, season with salt, pepper, and nutmeg, and simmer cream mixture 10 minutes. Layer half the potatoes in prepared dish; season with salt and pepper. Pour half the cream mixture over potatoes; top with half each fontina, Parmesan, and butter. Repeat layering, then cover dish with foil. Bake potatoes 50 minutes; remove foil and continue baking until cheese is golden brown, about 15 minutes more. Let potatoes rest 10 minutes before serving.